A five Judge bench of the National Green Tribunal has banned all diesel vehicles over 10 years old from plying on Delhi roads. The order came on an application by petitioner Vardhaman Kaushik, who had cited the rising pollution level in the city. The Bench, headed by Justice Swatanter Kumar, directed that all the vehicles entering Delhi will be checked for pollution, weight and age from Wednesday. Local commissioners appointed by the tribunal will conduct surprise checks. The ban applies to both, private and commercial vehicles. The bench was agonized by the circumstances prevailing in Delhi, where medical patients were being advised by doctors that for good recovery they would have to “leave Delhi”. According to a report by the World Health Organization (WHO), Delhi had the worst air quality in the world while 12 other Indian cities also figured among the world’s worst 20. It recognized three main categories of pollutants in Delhi: burning of plastics and other agricultural and horticulture produce in open spaces, pollution from construction sites and transport of construction material and debris, and from vehicular emissions. The Bench noted that several countries like Denmark, Brazil, China and Sri Lanka are in the process of banning diesel vehicles. The tribunal has sought original files, and notings from Delhi, UP, Haryana to see if its orders are being executed. It has also asked to file a list of petrol vehicles more than 15 years old and diesel vehicles more than 10 years old. The transportation department of the Delhi Government has been given 20 hours to set up pollution check booths at its border entry points post which local commissioners would personally verify. The Bench further expressed extreme displeasure at the Haryana government purportedly ‘shifting dates’ for completion of the Western Peripheral Expressway crossing Kundli, Manesar and Palwal that will take away 80,000 diesel trucks from Delhi’s roads. The Tribunal also directed the authorities in UP, Noida and Greater Noida, Haryana Urban Development Authority and state of Delhi to immediately stop construction activities in sites mentioned by the Court. A compliance report for the same will have to be filed by April 9. It order that all construction activity in violation of the 2010 Urban Township and Area Development Guidelines of the environment ministry be immediately stopped. It issued directions to all state governments, public authorities, corporations and the government of NCT of Delhi to “produce original records to show what action has been taken in compliance of the directions of the tribunal” with regard to curbing air pollution in Delhi. Earlier in November last year, the Tribunal had ordered all vehicles that are more than 15 years old from plying on Delhi’s roads, but little headway has been made towards implementing it. Read the LiveLaw story and NGT order here. The Tribunal expressed its discontent with the actions taken to implement its orders. “All authorities and the state have utterly failed to comply to the directions of the tribunal. Authorities have not even initiated action for compliance. Due to the increasing pollutants of air, the life of residents of Delhi is becoming more vulnerable to various diseases and the greatest sufferers are young children,” the bench said. Vishnu Mathur, director general, Society of Indian Automobile Manufacturers (Siam) has instead suggested a policy under which vehicle owners would be offered up to Rs.1 lakh tax rebate if they sell vehicles older than 15 years. The first stage of the scheme should cover India’s eight largest cities, and could see as many as 8.9 million passenger vehicles and 1.47 million commercial vehicles being scrapped, according to the automobile industry lobby group. 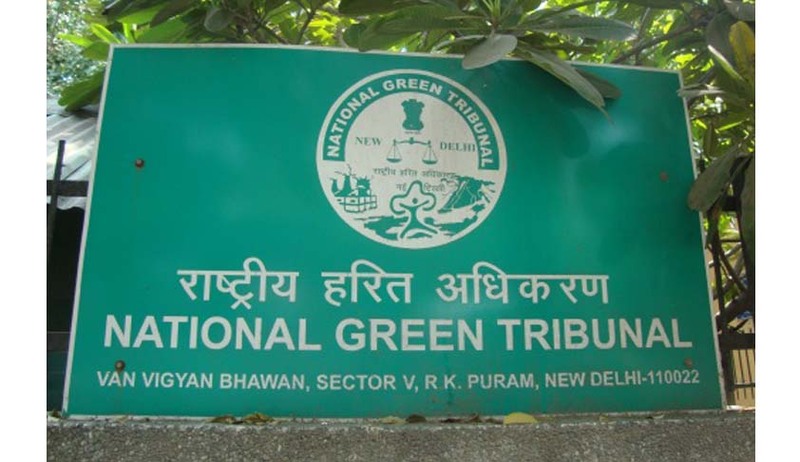 Mathur welcomed NGT’s decision but said that enforcement of the order will be a real challenge.